I was at my aunt and uncles new house on the coast this last fall, and the hummingbird migration was in full effect! I wound up getting several good pictures and couldnt decide which ones to start with, so I wound up taking traits from 3 different birds and threw them all together into this little guy! 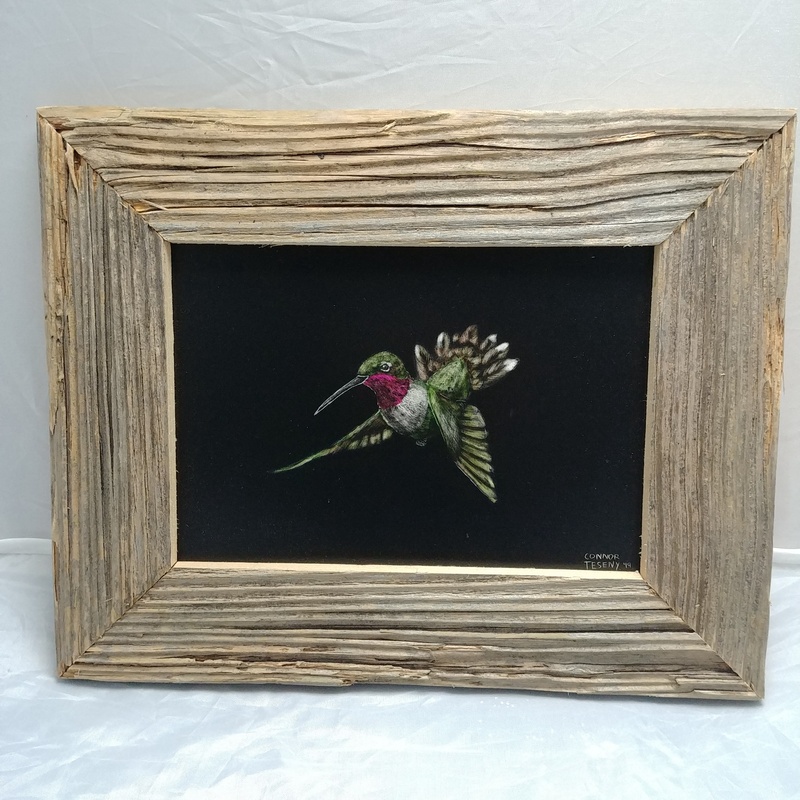 This piece, like all my work is framed in a custom, handmade CJTProducts frame made from recycled wood. I'm a huge animal lover and have found that no subject catches my interest like the animals that inhabit our world. I mostly create birds but love working just about any critter. I enjoy working as many mediums as I can get my hands on, but prefer to work on scratchboard, and copper plate etchings.